Down the coastal town you have beautiful stone sculptures facing the mesmerizing sea which serves as a visual treat by sunrise and sunset. The brilliant work on the stone is indeed commendable and impressive. The first sculpture was recently designed while one more sculpture is in the process. The surroundings are ideal for photography. 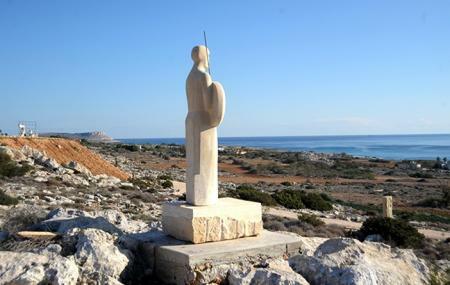 How popular is Ayia Napa Sculpture? People normally club together Dasonia Restaurant and Sage Restaurant And Wine Bar while planning their visit to Ayia Napa Sculpture.